There's nothing better than giving, or receiving, a book. Lately I've been swimming (gratefully) in books. May I share a few of my favorites? As a girl I never talked about how I grew up. It was complicated . . . Mostly I was certain that I was alone in a way that no one would understand. . . I began to write. Of seven children who followed a mother as she flew around western New York live a misguided bird. How they flew and flew until they were sick from all the flying then landed flat and broken in the muggy slums of Rochester, New York. I wrote of living in apartments and tents and motel rooms. . . About sleeping in shacks and other people's beds . . .
A testament to survival, this memoir stands strong (and won the Award For Creative Nonfiction from the Association of Writers and Writing Programs). I want to give Ghostbread to everyone I know, to those who recognize the pain and shame poverty can bring. And conversely, for those who believe poverty lives in the next town over, on another street, or church, or school, for those who can't see the struggling youngsters in their own backyard. "How did you make it through?" people want to know. And I am not being humble or coy when I shake my head and can find no words. I am not sure. . . I celebrate and cry for those who still live in poverty's clutches: beautiful nieces, good-hearted nephews, hardworking siblings. I see with agonizing clarity from where I stand, and though I'd love to point them in new directions, there is not rope strong enough to pull someone from one life to another. And perhaps it is arrogance to try. Ideals and opportunities and social theorizing are just fine, but if you must understand only one thing, it is this: a warm hand and words whispered into the ear are what we want. Paths that can be seen and followed and walked upon are what we most need." Rick Campbell, of Anhinga Press, is a good friend to Seashore Family Literacy, where I lead writing groups. He sends us boxes of books and we dig in with Christmas-morning joy. A recent shipment contained some goodies, including Me, Them, Us, a novella by Meagan Ciesla. The story — a tight, sharp slice of poverty, choices and getting through — won first place in the Iron Horse Literary Review 2009 Novella Competition. 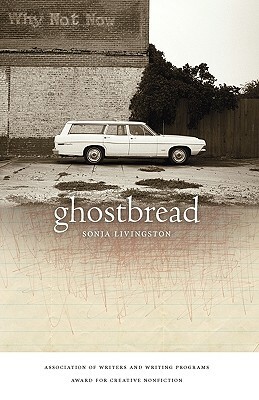 What I like about this work of fiction is — as with Ghostbread — its restraint. Characters are trying, ugly and mean. But instead of being written in broad strokes of bad, Ciesla writes with nuance to reveal effort, achievement and the gaps in between. When it's been hard getting to know people your whole life, meeting someone who's easy to be with feels off. You start to wonder where the lies live, where the hurt is hidden. You hold your breath and wait for its end. Take your good luck as a warning sign that this can't last for long, that something's going to go terribly wrong. What books are you giving? or getting? Please share!